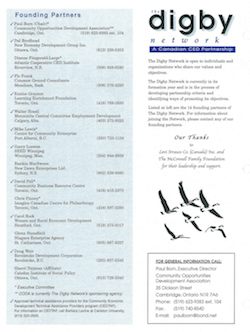 Today, the Canadian Community Economic Development Network turns 15. Yes, it was April 30, 1999 that CCEDNet was officially incorporated. I'm lucky to have been connected to CCEDNet in different ways for most of those 15 years, so I've seen a lot of the Network's growth and development. And what has struck me most over the years is the amazing array of people who have dedicated countless hours to creating and building this resource. Because ultimately, that is what CCEDNet is meant to be: a resource to support the thousands of local leaders who are tirelessly striving to make their communities better places. Through its formative years, the Network sought to provide technical assistance and support effective practice, but it gradually evolved into a means to share members' learning, to amplify their calls for a more enabling public policy, and to connect people with a common vision of inclusive and sustainable communities. Fifteen years is a milestone for an association that started out as a small collection of innovative community leaders called "The Digby Network" and grew into a national grassroots, member-led network with an ambitious vision. That CCEDNet has gotten to where we are today is a tribute to the dedicated efforts of countless people who contributed in ways large and small. To mark the occasion, we've asked some of the pioneers who founded or helped build CCEDNet over the years to share reflections and stories about its creation. The efforts of many people deserve to be celebrated, and we have much to learn from the interesting stories of how CCEDNet came to be and has grown. But it's not just for the fun of reminiscing with some of the most inspiring Canadians (and a few Americans!) I know. It's also so that all CCEDNet members, better knowing where we're coming from as an organization, can better think about where we're going and how this shared resource of ours can best help us get there. Over the coming weeks, we'll be posting their thoughts here on the blog. Watch for them, please login and add your comments, and others who would like to share stories are most welcome to contact us at communications [at] ccednet-rcdec.ca. Birthday wishes? Only that CCEDNet continues to inspire and support the kind of dedicated and visionary community leaders that got us this far, bringing us closer to our shared goal of inclusive and sustainable communities. 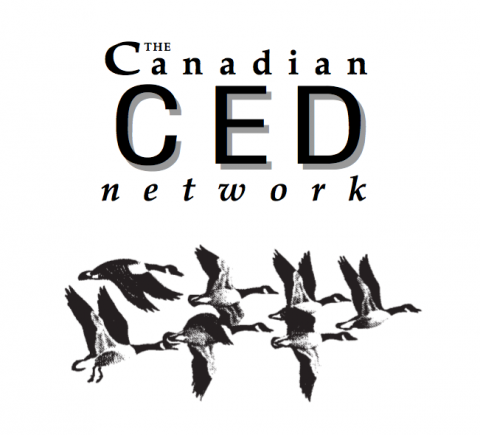 Michael Toye is the Executive Director of the Canadian CED Network, having worked in various other capacities with CCEDNet since 2000. Michael has also taught courses on CED and social enterprise at Concordia University and has written a number of articles and other publications on CED and the social economy, including co-editing the book, Community Economic Development: Building for Social Change.